Whether we are assisting a client with drafting a will or trust, power of attorney, health care proxy, nursing home plan or another matter, our central goal is always the protection of our client’s rights and interests. Our firm has dedicated attorneys who know their clients and the issues that matter most to them. Our estate planning, elder law and probate attorneys work closely with every client. We take time to listen to clients to learn about their families, their financial picture and their long-term goals. After learning about the issues that matter most to you, we devise and enact a comprehensive plan to meet your objectives. To best serve our clients, our firm to assist with the complex tax matters that are often involved in estate planning and probate. In addition to a wide range of estate planning, probate and elder law services, our firm assists clients with tax law matters, including personal and corporate income taxes. 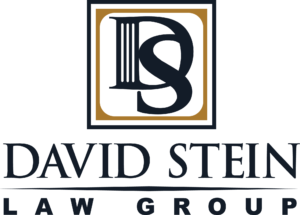 Additional services offered by our firm include real estate transactions and commercial litigation, guardianships and business formation. Our firm, comprised of estate planning attorneys, business litigation attorneys and commercial transaction lawyers, and provides legal counsel with the highest standards of honesty, integrity, responsiveness, and fair dealing. This is the mission of our business law firm.